The neck area has always been the Nemesis of a good shave for many men, myself included. More often than not the neck plays a major part in the unpleasant side of shaving: rashes, razor burn, ingrown hairs, irritation. Electric shavers add yet another dimension to the problem: stubborn, stray hairs that are left behind even after multiple passes. And going over the same area can cause more discomfort and irritation. Therefore, in this article we’ll take a close look at what makes some electric shavers better than others at shaving the troublesome neck. I’ll also share a few recommendations that’ll hopefully help you narrow down your options and choose the shaver that will suit you the best. Rotary or foil for shaving the neck? What are some of the best electric shavers for the neck area? There are few reasons for the trouble associated with shaving the pesky neck area. The skin on the neck is more sensitive and prone to irritation. There are also more nerve endings compared to the skin on your cheeks for example. As a result, the discomfort is greater and can be triggered easily. On your neck the hairs are more likely to lie flat on the skin and to grow in different directions. And this can be a serious issue for many electric shavers, particularly for the basic ones. This will often lead to more strokes, more pressure applied and greater chances of irritation and razor burn. Also, the longer you use an electric shaver, the hotter it will get. And a hot shaving head is never good news for sensitive skin. Luckily, there are a few shavers that don’t get warm during operation as you’ll see later in the article. There’s a higher probability for ingrown hairs and razor bumps. A hair becomes ingrown when is cut close to the skin and then starts growing and curls back into the skin. As said previously, hairs on the neck tend to lie flat on the skin which increases the chances of penetrating back into the skin. Since the body sees it as a foreign object it will trigger an inflammatory (and painful) process. The oddly shaped surfaces and little leverage makes it difficult to shave efficiently. There are a few very tricky spots, like the area right under your chin or jaw line. You have to constantly adjust the length of the strokes, angle, direction and so on in order to get a clean, smooth shave. In the electric shaving community there is a consensus that one type of electric razor is better than the other depending on the situation. And I definitely agree, with one additional note: these are only general guidelines and in real life things won’t always turn out as expected. For example, foil shavers are generally thought to be more suitable for sensitive skin, but there are men who can’t use anything apart from a rotary shaver. The shaving technique required for foil and rotary shavers differs significantly and here is where personal preference comes into play. Using one vs the other simply feels right and more natural. And that alone can improve the final result. When it comes to foil or rotary for shaving the neck, here are a few things to keep in mind. Again, these are just anecdotal considerations, not absolute truths. Rotary shavers are generally better at dealing with stubborn neck hairs: longer, flat lying hairs that grow in different directions. By using circular, overlapping clockwise and counterclockwise motions you can capture more stray hairs with different growth patterns than you would with most foil shavers. Rotary shavers are better at adapting to the various surfaces and maintaining contact with the skin. The flexing, pivoting and tilting of the shaving unit and individual cutters of an advanced rotary shaver can be very handy when shaving your neck. A foil shaver only has a straight edge; for this reason, shaving the area that starts right below your jaw line can be more difficult. Rotary shavers are generally better at shaving longer hairs. If you don’t shave very often, a rotary razor may be better suited for you. The longer hairs are captured more efficiently by the slits in the shaving heads. Foil shavers shave closer. This is generally true, even though things can be different if we refer to specific models of foil and rotary razors. This is mainly due to the fact that the foil is very thin compared to the metal guards/combs used by rotary shavers, so the physical barrier that sits between the skin and cutters is thinner. Foil shavers are better for sensitive skin. Again, this can vary depending on the specific models. Some rotary shavers can pull longer hairs and irritate the skin, but that’s generally not the case with high quality razors. Foil shavers have a less steep learning curve. Using a foil shaver usually takes less practice than a rotary razor. The use of straight, short strokes against the grain makes foil shavers a better option for beginners. The takeaway is that you shouldn’t think about foil vs rotary for shaving the neck in absolute terms. I would simply consider my personal needs and go for a razor that meets most of them. For example, I have very sensitive skin and I always got along better with foil shavers, so in my case a foil shaver would be the more sensible choice. With that said, let’s take a look at some of the best electric shavers for the neck and how to choose one that would suit you the best. The 9300 from Philips Norelco is one of the best performing rotary shavers you can buy today. It’s also the most I would ever pay for a rotary razor as the higher specced ones like the 9700 are simply not worth the extra money — because of the diminishing returns. The 9300 performs remarkably well at shaving stubborn neck hairs. It leaves behind fewer stray hairs than other electric razors, especially when they lie flat on the skin and grow in different directions. This means that you’ll be able to get a smooth shave without excessive passes that can irritate the skin on your neck. The slits that form the outer track of the shaving heads are designed specifically to capture longer hairs. 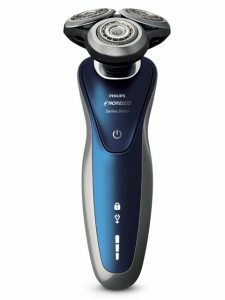 So if your shaving habits include shaving every other day or even every two to three days, you should probably shortlist the Norelco 9300. Unlike other basic rotary shavers, the 9300 doesn’t pull or tug on the hairs, even when shaving longer hairs or if you have a very coarse beard. You’ll be able to get very close shaves with the 9300, even though an advanced foil razor will probably be slightly better. 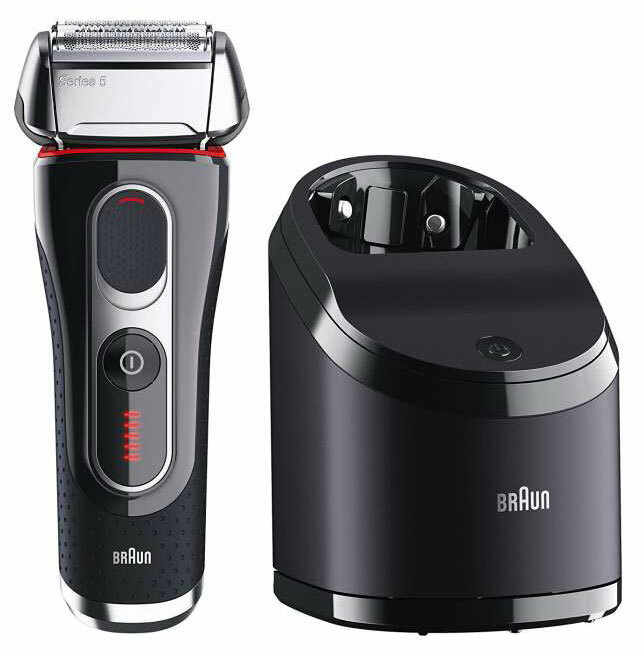 However, the 9300 is among the best rotary shavers when it comes to the closeness of the shave. It works just as well for dry and wet shaving and it comes with an excellent cleaning station. If it fits within your budget and you consider the above mentioned traits of this rotary shaver to be a good fit for you, then you won’t be disappointed with the 9300. The Norelco 8900 is the next best thing if you are looking for a more budget friendly alternative. Available with or without a cleaning station, you can save quite a few dollars by going for the model that doesn’t include one. The Norelco 8900 is very similar to the 9300 above in terms of performance. It even uses the same shaving heads. The only real difference is that the 8900 doesn’t includes the 3 personalization modes found on the 9300 and only has basic LED display. 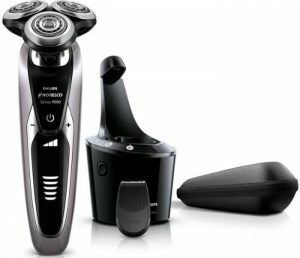 These are mostly gimmicky features that won’t affect the actual performance to a significant degree, so all the things that make the 9300 a good electric shaver for the neck are still present in the case of the Norelco 8900. The shaving heads that flex in 8 directions maintain constant contact with the skin and minimize the number of passes. The shaver is also remarkably quiet and comfortable. For more budget oriented options, check out this article where we look at other rotary shavers. When it comes to foil shavers, the Braun Series 9 is probably the best in terms of comfort and dealing with neck hairs. Improving upon the excellent foundation of the iconic Series 7, the Series 9 is more powerful and has a redesigned shaving head. The most important addition is an extra shaving element, called the Direct & Cut trimmer and is specifically designed to capture longer hairs that grow in different directions. 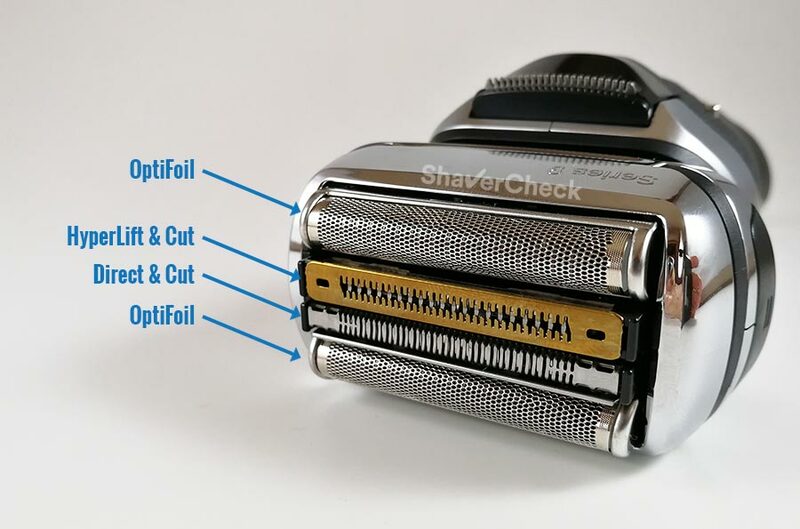 This, along with the HyperLift & Cut element (found also on the Series 7) make the Series 9 better than pretty much any other foil for shaving longer, flat lying hairs that are likely to be found on the neck. The shave is very close and supremely comfortable. The foils of the Series 9 remain cool during use and it never pulls or yanks the hairs. The Series 9 is available in several variations, including dry only use (9090cc) or wet & dry use (9290cc). Choosing one or the other comes down to personal preference. However, I do recommend going for a model that includes Braun’s excellent Clean & Renew station as it’s really good at cleaning and lubricating the shaver. A manual cleaning is fiddly as the blades and foils of the Series 9 are merged into one piece called a cassette. My personal pick would be the 9290cc that I reviewed in great detail here. The Series 7 790cc was regarded for many years as the benchmark in terms of comfort and performance. And it is still is a very relevant product today. The Series 7 is edged only by the Series 9 in terms of comfort and many men won’t even notice a difference. However, the Series 7 lacks the Direct & Cut element of the Series 9. This means that the Series 7 is not quite as good at shaving longer hairs. But it’s still better than most other foil shavers out there and will be very suitable in most cases. The shaver is very gentle to the skin and will make an excellent choice for men with sensitive skin on the neck. The Series 7 is also priced lower than the Series 9 and can be bought in dry only or wet/dry variations. But just like the Series 9, it’s probably a good idea to choose one that includes an automatic cleaning station. 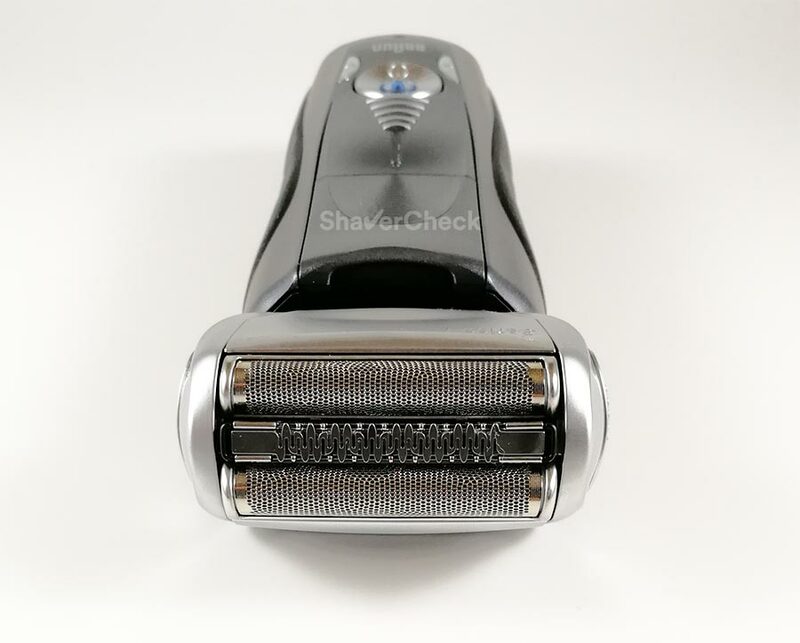 An alternative to the Series 7 is the Series 5, which provides an almost identical shaving performance, but it’s usually available at a lower price. The highlight of the Series 5 is the 5090cc because of its reasonable price and the inclusion of an automatic cleaning station. You also can check out an in-depth comparison between the Series 7 and 5 here. Hopefully by this time you’ll have a general idea of what electric razor would be better for shaving your neck with minimal discomfort and frustration. These are only a few options meant to put you on the right track as I’m sure there are other electric shavers out there that would make perfectly good choices. Do you have a hard time getting a smooth, pain free shave on your neck? What are your thoughts on improving the shaving experience? Please leave your comments below. 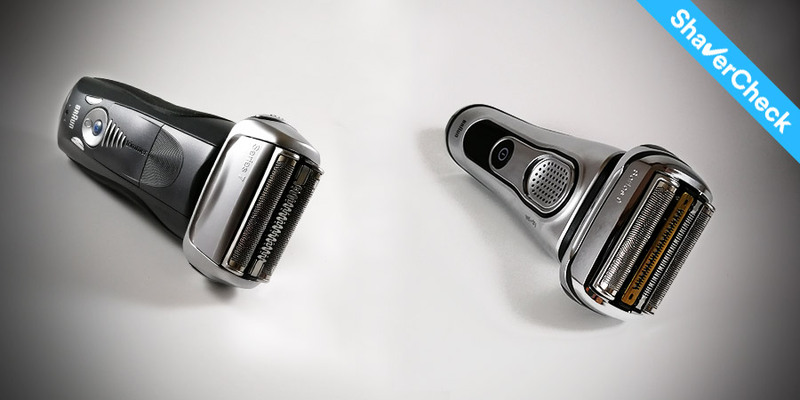 Home » Articles & Guides » Best Shavers » What’s The Best Electric Shaver For The Neck Area? 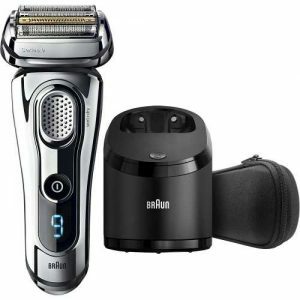 At the moment I am using Braun Series 3 and it gives me a good shave except the neck. I prefer to shave not every day and when hair on the neck is long it does not shave it. How big is the advantage of rotary models over foil in shaving long flat lying hair? And is there an advantage of more expensive foil models over mine? 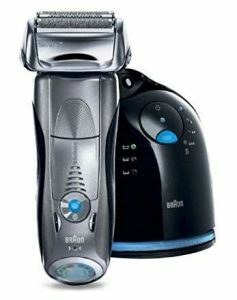 an advanced rotary shaver like the Philips Norelco 8900 or 9300 will likely perform better than a Braun Series 3 when used on longer, flat lying hairs. How much better is difficult to predict as this varies from person to person and your shaving technique matters as well. The same goes for a more expensive foil shaver like the Braun Series 9/Panasonic Arc 5. The Series 9 is in my opinion the only foil shaver that performs quite good in a situation like this one. The Series 3 is only suitable for shaving daily. Upgrading to a more advanced shaver like the once I mentioned will likely result in an improvement when shaving longer hair. I am 19 years old and I shave everyday. I use a Philips Norcello PT730 to shave my face and neck, but its performance on my neck is very poor. I shave everyday so that I can look presentable at work. I can never get a good shave on my neck because there are always hairs leftover that my electric shaver is missing. It doesn’t matter how long I run the electric shaver for… it will not remove those hairs. However, when I’m not working, sometimes I’ll go a day without shaving and when I shave the next day after the hairs have grown longer, the shave on my neck is much better. shaving longer hairs usually causes problems for most electric shavers. Since you actually get better results when shaving every other day than daily I can only that your current razor simply isn’t able to cut the hairs or to get close enough. The PT730 is a very basic shaver and while you didn’t mention it, the blades probably have become dull after two years of use. Also, rotary shavers have thicker guards compared to the very thin screens found on foil shavers and aren’t the best for getting very close shaves. I think these factors can be the explanation for the poor performance of your current shaver. Since you shave every day, I think a foil shaver would be a better option. Here is an article I wrote not too long ago that should help you. You didn’t mention your budget, but below the $100 mark I would consider something like a Panasonic Arc 4 ES8243A or a Braun Series 5 5030s. For slightly more you can get the Series 5 5090cc that also includes a cleaning station. With Panasonic you don’t need one as they are very easy to clean manually. I have a Braun Series 7 which gives a generally poor shave, and an old Series 1 which can always take off more than the 7. If I use the 7 and want a really close shave, I have to finish off with the Series 1, which always takes off what the 7 has left behind. But the Series 1 is old, slow, noisy and doesn’t have the cleaning system. I have narrowed down the difference to the foils, the Series 1 has the SmartFoil pattern that looks like interlocking wheels, the Series 7 has the SensoFoil honeycombe pattern. The SmartFoil pattern is much better for me, but Braun have now dropped this completely.